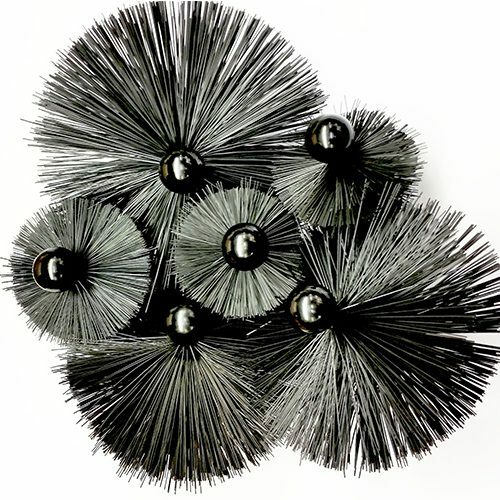 Attachment – Many attachments from chain brushes, wire strand heads ,nest hooks, bristle brushes and many more can be used. Power-Sweep chimney sweeping rods are 1m long with round fittings so when in motion will not damage the flue. 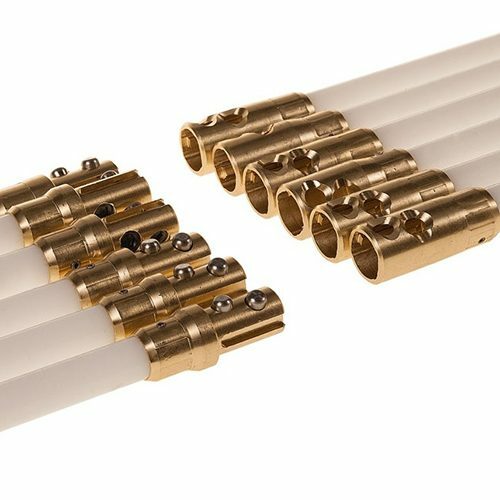 They lock together just by pushing the rods together and held in place with strong durable button, to release simply press the button down and pull apart. Fast and efficient power sweeping cuts the time of screwing traditional rods together and you can spin the brush head in both directions without unscrewing the rods or brush head.